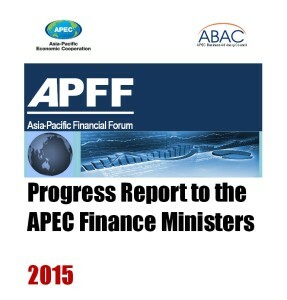 ABAC submitted the 2015 Progress Report of the APFF (Asia Pacific Financial Forum) to APEC Finance Ministers. Financing of micro, small and medium enterprises (MSMEs) and supply chains. Pipeline of bankable infrastructure projects. A greater role for the insurance and pension industries. Development and integration of capital markets. The Asia-Pacific Financial Forum (APFF), a platform for public-private collaboration to develop robust and integrated financial markets in the region, was proposed by the APEC Business Advisory Council (ABAC) and adopted by the APEC Finance Ministers at their 2013 annual meeting in Bali. In its 2014 Interim Report to the APEC Finance Ministers, the APFF identified undertakings to advance development in key areas of financial markets that are critical to the region’s economic aspirations. 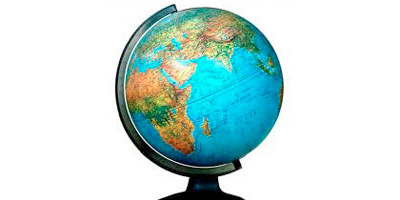 These areas are: (a) lending infrastructure; (b) trade and supply chain finance; (c) insurance and retirement income; (d) financial market infrastructure and cross-border practices; (e) capital markets; and (f) linkages and cross-border issues. The Interim Report contained a description of a number of action plans to advance these objectives. This Progress Report provides information on how these action plans are being developed and their future directions.